Life is messy. And Christians are not exempt. Unfortunately, this is not the message we tend to hear. We're told to be moral, look good, and set a positive example. After all, as some people may tell us, we're the only Jesus some people see--so we better make him look good. That's a heavy burden. And so we work feverishly to hide our messes from each other and from God for fear of judgment . . . all the while wondering how we can ever be loved. But Christianity is not about being less of a mess. It's about admitting that we need to be saved from trying to clean ourselves up. 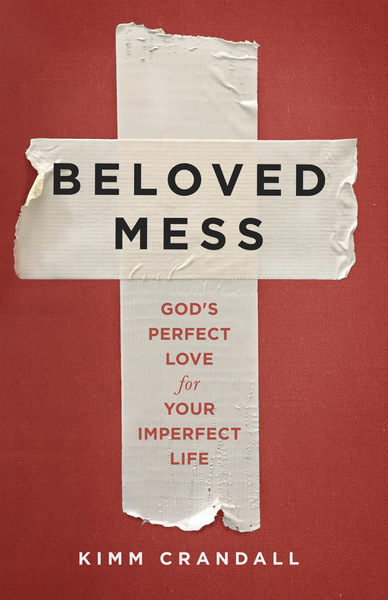 In Beloved Mess, author and blogger Kimm Crandall frees Christians to live with the assurance that God loves us right here, right now. He's not waiting for us to clean up our act before we're worthy to come to him. He wants us to stop trying to fix the mess so that we can allow him to wash it away for us.